Closets, like junk drawers, tend to attract all manner of clutter. I think that’s because their contents are largely out of sight and easily shut away. Is that untidy closet stressing you out? Shut the door and walk away. There! That’s a bit flippant, I admit, and also not the whole story. Many people resist organizing a closet because they assume that means researching and purchasing additional storage solutions. While it’s possible that an untidy closet could be greatly improved with some labeled bins, that’s not the only way to get on top of an untidy project. You can make huge gains in a weekend without spending a thing. Let’s begin with the obvious: uncluttering. Inside my closet is a dresser with a nice, flat surface. It calls to me when I open the door: “Dave, just plop that sweatshirt right here. Oh and those sweaters? Just pile them up right here.” If I analyze this behavior in myself, I realized that when I place items on top of the dresser vs. inside its drawers not just because I am feeling a little lazy, but because the drawers are often full. Time to unclutter. Anything that doesn’t fit into one those categories can be donated or handed down. Now that you’ve uncluttered, plan out the most effective use of the liberated space. Use a tape measure and confirm all of the dimensions, from top to bottom. If and when you do buy additional storage solutions, you’ll know exactly what will fit and what won’t. Also, plan to put your most frequently used items in the most accessible locations. I’ve organized my dresser the exact same way for years, and I suspect many of you have, too. Repair that squeaky drawer, busted light bulb and the tie rack that’s just not quite right. It’s possible to live with these minor irritations from day to day, but it’s also very annoying. While you’re at it this weekend, bust out the tool box and fix those problems once and for all. I don’t have very many accessories. There are a few ties, a few pocket squares, and a couple of belts. I use the top drawer for all of these. That way I know where they are and can see them all at one glance. Organize yours in a dedicated “accessories-only” location that’s easy to access. From there, you’re done, and it only took a couple of hours. Now if you want to invest some storage solutions, you’re better equipped to make the right purchase decisions. Good luck. Seeing this reminded me of all the keys so many people have stashed away — and they, too, have no idea what many of the keys were ever intended to unlock. I just looked at my own key collection and noticed I have a few of these, also. I carry a limited number of keys with me daily: house key, car key fob, my neighbor’s house key, and the key to my UPS Store mailbox. In my box of other keys should be one for my brother’s house, my safe deposit box, my two lockboxes, and the door to The UPS Store. And there should be a couple spare house keys for my own home. But I don’t know which key is my brother’s and which goes to The UPS Store — and I have three extra keys that are total mysteries. 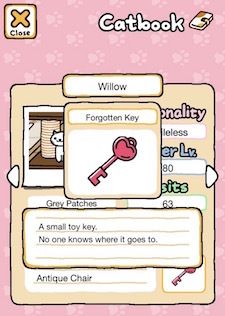 Furthermore, I’m almost positive that one of the keys in the box is the key to a good friend’s old house, before she moved out of the area. So my to-do list for October includes identifying the useful keys, using colored key caps (with an associated list) so I know which is which, and tossing the mystery keys. In some places such keys can be recycled as scrap metal, which is better than sending them to landfill if you have that option. And in the future, I’ll make life easier on myself by immediately tossing any keys I don’t need — for example, my current copy of my brother’s house key if he ever changes the locks — and labeling any new ones. A similar problem happens with cables and cords, where almost everyone I know has a box or a drawer (or maybe multiple boxes and drawers) filled with unidentified items. If all the electronic equipment you have is working fine with the cords you already have in place — and you have found the cords to any electronics you plan to sell, donate, or give away — you may be able to let all those other cords go. In some cases you may want spare cords: for travel, for replacing ones the cat chews through, etc. But many people also have a bunch of cords that go to electronics they haven’t owned in years. Along with the cords you may also have old remotes and charging devices. Those whose hobbies involve tinkering with computers and electronics may want to keep an array of cords and cables for purposes as yet unknown. But those of us who just want to use our devices don’t need the cords to old computers, monitors, printers, etc. These cords qualify as e-waste, and you can usually find a place to recycle them without too much trouble. For example, in the U.S., they can be dropped off at Best Buy stores, in the recycling kiosks that are just inside the front doors. When I was a little girl grandmother and aunt taught me Harry Bellefonte’s Hole in the Bucket song and of course I remember watching the classic Sesame Street performance on TV. The Hole in the Bucket is a classic endless loop dilemma that at we all get stuck in at some point. If you’re stuck in an endless loop in your computer program you can simply press CTRL +ALT +DEL to break the cycle. Unfortunately, real life doesn’t have CTRL +ALT +DEL buttons so you’ll need to look for another way to exit the endless loop. The first step is to recognize that you’re in an endless loop. If you don’t seem to be getting anywhere, write down the list of tasks you need to complete to achieve your goal. If you’ve written a task more than once, you’re likely in an endless loop. In the song, Henry’s problem was the hole in his bucket. Change focus. Henry was focused on getting a whole bucket of water. If he had focused on another part of his task list, for example sharpening his axe, he would have realized that a small cup would have carried enough water to wet his stone. If you’re trying to organize your home and you keep focusing on the kitchen, consider focusing on the dining room instead. An organized dining room may free up enough space to allow you to easily organize the kitchen. Working with new people can help escape an endless loop. Henry was working with Liza who was offering no real solutions and seemed to be perpetuating the loop. If Henry had spoken with a neighbour, he could have borrowed a bucket or an axe and had his problem solved. Talking to a friend, family member, or hiring a professional organizer can provide new and insightful clues to resolve your organizational problems. Using your wildest imagination could provide unique solutions. If buckets didn’t exist, how would Henry get water? What would buckets be made of so they would never get holes? In your own situation, what if you could just wave a magic wand and have the clutter disappear? If you had unlimited funds, how could you solve the problem? Even if the answers are outlandish, they just might just lead to a solution you may not have previously considered. Have you ever been stuck in an endless loop? What helped you escape? Please share with our readers in the comments. Facebook knows me well. 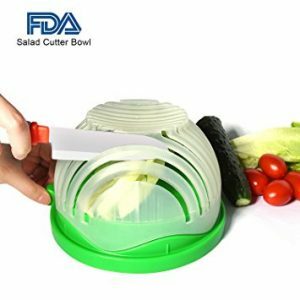 Often its ads are kitchen-related and the other day it suggested that I might want to buy a 60 second salad cutter. When I saw the video for this kitchen tool, my first thought that it would make an ideal item for a Unitasker Wednesday post. When a knife all you need to make salad, why would you want another bulky item filling up your cupboards? Then I got thinking as well about mobility issues. For anyone with wrist problems or perhaps the use of only one hand, the 60 second salad tool would be a fantastic solution. Although I have no mobility issues, I’ve been making a lot of salads recently. While cutting up the veggies is a simple task with the knife, it’s not the fastest process. When making a lunchtime salad, often at six o’clock in the morning, the last thing I want to do is spend a great deal of time cutting up the various components of the dish, the 60 seconds in the name of the tool is the real attention-getter here and it may just end up on my Christmas wish list. What are your thoughts? Do any of you have the 60 second salad and swear by it? Or are you chuckling at the idea of buying this classic Unitasker item? Recently I moved into a new office at work, much to my former office mate’s delight. With two desks, two bookshelves, a filing cabinet and a large printer/scanner all crammed into a small room, he and I felt like we were always in each other’s way. My moving out gave us some breathing room as well as the opportunity to assess what should go where. These three pieces of hardware allow me to capture everything I typically see in a day. Papers, forms, and documents from staff and co-workers are placed in the inbox tray. The notebook captures what I come across during the day, like requests, questions, and ideas I need to follow through on. The email inbox, well…that’s its own thing. Here’s an article on how I handle that particular job. I’ve got two types of storage: analog and digital. Analog storage is a good, old-fashioned filing cabinet. Hanging folders don’t work for me as I always knock them off the tracks. 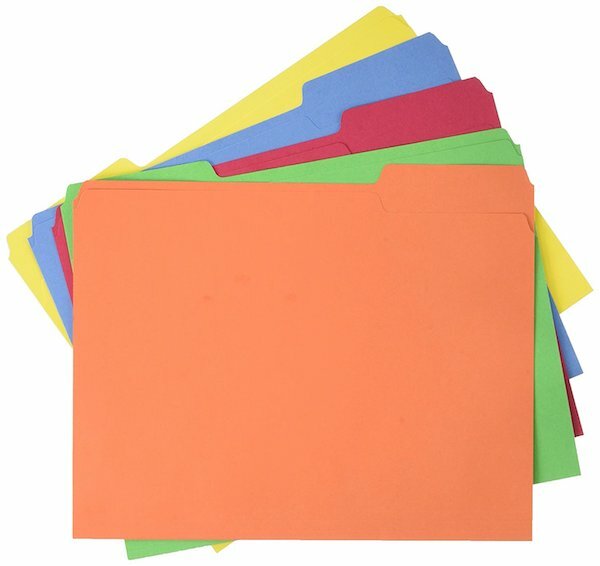 I prefer labeled, standard file folders. Sorting by simple alphabetical order is best for me as I can find anything. Digitally, I use Evernote. It holds information that may be useful in the future, but doesn’t require any action such as policies and procedures, etc. Just like the inbox, the outbox sits on my desk. Anything that isn’t digital and must travel from me to someone else, begins its journey in the outbox. None of this is new technology or technique, but it works for me. It’s also clutter-free and efficient. While the office I describe here is at work, this setup would benefit a home office, student’s desk, or homework area. See if you can reduce your office system down to what’s necessary and see your efficiency and productivity rise. Did you know that tomorrow is National Situational Awareness Day? September 26th was officially proclaimed in 2016 as the day that we should take a few minutes to really think about and be mindful of our surroundings. Situational awareness is really just another way of being mindful of your surroundings. Developing this skill will make you more present in daily activities, which in turn helps you make better decisions in all aspects of life. The concept was developed during World War I and focuses on personal safety, as does the site Pretty Loaded. However, situational awareness extends beyond security. We all practice situational awareness without thinking. For example, we don’t cross a busy street because we know that it’s highly likely that we will get hit by a car. Similarly, most people will think twice about walking down a dark alley in an unknown city. Situational awareness can help you with your organizing challenges as well. Recently in the forums, someone asked how to get started in uncluttering, stating that decision paralysis was causing a block. Let’s take a look at this paralysis from the point of view of situational awareness. We have in front of us a drawer full of who knows what. Many people who have trouble uncluttering state that what blocks them is the idea that everything they hold onto might come in handy at some point in the future. First off, let’s forget about everything else in the house. We are focusing on just this current situation, the drawer. Nothing else exists. This helps take off the pressure. We’re not uncluttering the whole house, only one small piece of it. In what situation might this item be useful? What level of probability will this situation actually happen? We can’t imagine using the item. We can imagine using the item, but we don’t think the situation will come to pass. We can imagine using the item and see a real possibility of the situation arising. When we finish the drawer, items in pile A get donated or tossed out. Items in pile B get put in a box (with or without an inventory) and dated six months in the future. If we don’t touch the box in those six months, the contents get donated or tossed out without any more decision agony. And finally, items in pile C go back in the drawer. Later, once everything in the room has been sorted, we can reorganize what’s left for better access. By approaching uncluttering using the concept of situational awareness, we take a skill we all have (avoiding putting ourselves in front of moving vehicles, for example) and extend it to an area of our lives that causes us confusion and pain (getting rid of things that no longer serve a purpose). This same technique can be used for any area of organizing, from prioritizing our time to reorganizing the kitchen cupboards for ease of use. 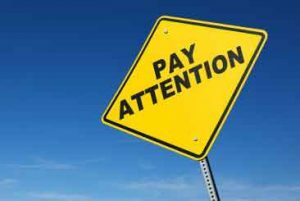 As mentioned above, situational awareness is really just another term for being mindful and present in the moment. So, now over to you. How are you going to use situational awareness day to help you organize one part of your life? As the days get shorter here in the Northern Hemisphere and the nights get chillier, I start thinking about the upcoming holidays: Halloween, Thanksgiving, Christmas, Hanukkah, and Kwanzaa. 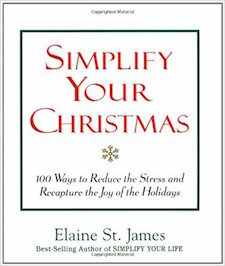 And this inspired me go to my bookshelf and take another look at the book entitled Simplify Your Christmas: 100 Ways to Reduce the Stress and Recapture the Joy of the Holidays, by Elaine St. James. This is a type of book that often doesn’t appeal to me: a smaller size (for easy grabbing at the bookstore cash register) and the 100-ways format. 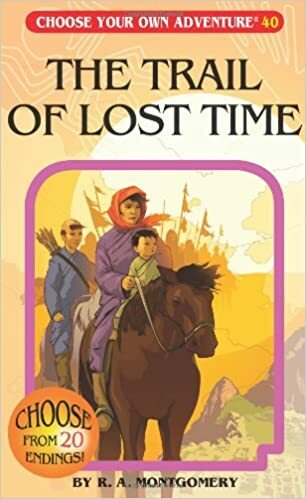 But this is one I liked, because it puts forth a range of suggestions so you’re quite likely to find at least a few that inspire you to approach things a bit differently. The author isn’t proposing any one-size-fits-all solution. On a re-read, the chapter that most caught my attention was entitled Stop Trying to Get Organized. Her point is that a long organized holiday to-do list — with tasks starting weeks or months before Christmas — means you’re still doing a whole lot of things. Simplifying, so the long list isn’t so long, would often be a better approach. It reminded me of the standard organizing approach where we unclutter first and then organize what’s left, so we aren’t organizing things we don’t really want or need. The author emphasizes the importance of identifying what’s special and meaningful to you and your family about the holidays and focusing on those items. This made me think about my own special holiday memories. I remember standing on a friend’s porch in Florida on a warm Christmas Eve, looking at the lights, drinking wine, and singing every Christmas carol we could remember. I remember being lucky enough to spend a Christmas with friends in Germany, who had invited many family members and friends to spend the holiday with them. They opened gifts on Christmas Eve, but the number of gifts and their cost were both much less than what I often see at home. I have amazing memories of a Christmas Eve spent answering calls on an AIDS hotline, many years ago. I love pulling together my Christmas music playlist every December, and buying gifts for my adopted seniors from their wish lists has been part of my holidays for years. So music, friends, and caring for those less fortunate than me are key parts of my holidays. These all add joy to my life, don’t involve excessive spending, and don’t cause me any stress. St. James addresses many aspects of holiday celebrations: cards, gift giving, the Christmas tree and other decorations, holiday meals, the office Christmas party, etc. Now, before we’re actually swept up in the holiday season, might be a good time to ponder how you’d like to handle all of this in the coming months. Many of her thoughts about Christmas could apply to other holidays equally well. And now I’m going to freecycle this book, passing it along so someone else can be inspired to have the holiday celebrations they really want. Once you’ve done your uncluttering, the final step is to get the unwanted things out of your home or workplace. I’ve written before about the many ways you might do this, and Dave has provided suggestions, too. But now I’d like to mention a few additional resources. One of these is only available in a limited area, and all are based in the U.S., but you might find similar services in your area. Note: I have no personal experience with any of these companies, so this isn’t an endorsement — just a reminder that there may be more ways than you expected to dispose of things that are no longer serving you. If you’re interested in any of these specific services, please do your own research before choosing them. Remoov will come to your place with a truck and take away your stuff. You pay for the portion of the truck you are using. But then Remoov will sell what it can, donate what it can (that doesn’t sell), and “responsibly discard” the rest. You receive 50% of the sale proceeds and a donation receipt. If items must be discarded, you’ll be charged a disposal fee that covers Remoov’s costs. There’s a free consultation up front, so you will have a good idea of what to expect. Items must be packed up before the Remoov truck arrives. MaxSold conducts online estate sales auctions. You identify which things are to be sold, and then MaxSold catalogs the items, taking pictures and writing descriptions. MaxSold does the auction, and afterward successful bidders come to your home to pick up items during a pre-defined time window. MaxSold takes a commission on each lot of 30% or $10, whichever is greater. MaxSold is often used to clear out a house at the end of a move. The company says, “On average, 98% of everything in your house can be sold via MaxSold.” Ordinary clothes are one of the few things the company doesn’t handle. Using MaxSold allows you to have the equivalent of an estate sale in places where such sales might not be allowed. It can also work for those who don’t have enough of value for other estate sales or auction services to be cost-effective. One drawback noted by some users is that everything must remain in place for two weeks until the auction is complete and the purchasers have taken their items. Mighty Good Things describes itself as “a nonprofit turning millions of previously-loved possessions into funding for other nonprofits.” You gather up your items and ship them off using a pre-paid FedEx label. (If you’re in San Francisco, items will be picked up.) Mighty Good Things then sells them on places like eBay and Amazon and donates 100 percent of the net proceeds to the nonprofit of your choice. You get an itemized donation receipt for tax purposes. This is intended for “high value, reasonably small items” such as smartphones, small appliances, or a nice pair of shoes in great condition. If you’d like to share other companies providing interesting ways to sell or donate your items, please leave a comment! My husband keeps collecting things, especially newspaper and magazine cuttings and he keeps them in separate files. Most of the cuttings are of no use. He does not want to throw away old plumbing or electrical parts but if I throw something away, he does not even notice. Please help me to deal with this problem. He does not do this in front of us but keeps collecting when he is alone. What could be the reason for his behaviour? Please help. Thanks for sharing your dilemma Luna. I am sure you’re not the only person who has been, or will be in this situation. There could be many reasons why your husband is collecting items. Perhaps he finds it an interesting hobby but knows you do not approve so he collects things without you watching. There could also be a medical or psychological reasons for his behaviour. While Unclutterer has a plethora of resources on how to organize, arrange, and manage collections, we are not qualified to assess human behaviour – that is best left to medical and mental health professionals such as doctors and psychologists. Our suggestion is to have an open honest discussion with your spouse indicating your concern about his behaviour. The American Psychiatric Association provides some great advice. It is important that you remain positive and supportive. Do not judge or criticise. While you may see your husband’s collection as a waste of time and effort, he most likely does not. You may wish to focus your conversation on safety (e.g., avoiding trip hazards, keeping fire escape routes clear, etc. ), keeping the collection organized or perhaps confined to a specific area of the home. Show empathy – listen and try to see things from your husband’s perspective. Also, stop disposing of his items without his consent. This may be difficult for you but if he finds out, it will undermine the trust he has in you and he may have trouble believing you’re acting in his best interests. You may wish to encourage your husband to see a medical doctor to rule out any medical reasons for his behaviour. Visiting a mental health professional – perhaps the two of you together, would be beneficial in helping to understand each other’s perspective. Thanks for your great question Luna. We hope that this post gives you the information you’re looking for. The next time you see a squirrel running around, give it an appreciative smile. That’s your fellow organizer right there. As summer yields to autumn, these little fuzzballs are busy gathering nuts that will sustain them during the winter. Scientists from University of California Berkeley recently wondered exactly how they accomplish the life-sustaining feat, including the improbable act of finding each tiny hoard weeks after it’s created. What they discovered was pretty impressive. Squirrels use chunking. Chunking refers to the practice of sorting information into similar, easily remembered groupings. For example, when learning a new phone number, we don’t memorize an interrupted series of 10 numbers, we (at least here in North America) learn the three-digit area code, the three-digit exchange and then the last four digits. Likewise, a bookshelf stuffed with no semblance of order would make it very hard to find a certain title. So, we group books into fiction, non-fiction, biographies, etc. It’s much easier to recall where a specific piece of information is when it’s in a chunk of similar items. Researchers discovered that squirrels are “scatter hoarders.” That is, they create several caches of nuts, each grouped in the same way. In the study, 45 squirrels were offered a series of nuts from several locations. Upon receiving nuts from a central location, the cute little rodents put the goodies into species-specific groupings: almonds, hazelnuts, pecans, and walnuts. This suggests, scientists concluded, that finding the nuts weeks or months later in snow-covered forests, that the squirrels rely on a technique like chunking to recall where each pile (or species) of nut is hidden. What does that have to do with you and me? Aside from the obvious “we’re all nuts” joke, chunking is truly an effective strategy. Like the squirrels, it will help you recall where that seldom-used item is stored. For example, if you’re looking for Christmas tree ornaments, they would be “chunked” with the other holiday decorations. Time chunking – and fine tuning the practice – allows me to work with optimum productivity. It’s worth trying in some form or another because it removes a decision from the process of doing: what to do and when to do it. Take a lesson from our furry friends. Sort time, items, and effort into definable groups for better recall later. Whether you’re a human or not. Think about your life – what are you doing because you feel you should want it? Or I should say, what are you not doing even though you feel you should want it? Weight-loss is a common goal, and yet report after report all over the western world show that obesity is on the rise. If say you want something, but aren’t doing anything about it, stop a moment and ask yourself some more questions. When do you claim to want something but then let fear stop you? Fear of failure and fear of success are the two biggest stumbling blocks. The former is easy to understand. If diets and changes in lifestyle haven’t worked in the past, why will they work this time around? I have food intolerances. When I eat outside of my healthy choices, I put on weight (apart from feeling generally out of sorts). The temptation to eat the not-good-for-me food is always high, and I always end up falling off the wagon. It would be easy for me to never start because I never manage to not fall off the food-intolerance wagon. When it comes to fear of success, I also often fall victim to a twisted piece of illogic. You see, if I succeed in my goal of changing how I think about food and keep off the weight once I lose it, I will have to recognize that I am a capable, confident person. At times, it’s easier to believe that I am neither of those things, so I sabotage my progress with whatever goal just to prove to myself that I can’t follow through on anything. That, however, isn’t true. I am capable. I can be confident. I just need to act on my desires. What are you not tackling because it’s too much work? I believe that human beings are rather lazy by nature. Successful change requires work and that all too often is enough of a demotivator to never get started. Better to stay safe and sound with the current situation. At least we know it well. SAFE can keep you locked up in your house, never daring to step foot outside the door. It can keep you locked in a job you hate that has no future, just because you’re afraid if you walk away you will never work again. SAFE can kill your hopes and dreams by telling you they were never worth pursuing, that you were never good enough to make them real, that you were only kidding yourself. Basically it all comes down to excuses and because you’re getting something out of your inaction. As long as you don’t move forward, as long as you don’t follow through on your dreams you still have hope that the dreams will come true. The thing is, no matter how much hope you have, if you don’t act you’ve already failed. Are you actively engaged or on autopilot? One of my favorite phrases here on the blog is “life is choice” – from the decision to get up each morning through to going to bed at night (well for me the last one isn’t that much of a choice – my body just shuts down at some point and I get no say in the matter). It’s easier to go with the flow than to make active choices that might inconvenience other parts of her life. Getting out and getting exercise means not working quite so much. Taking time from work means the renovations on the house take longer and vacations can’t be as exotic as she would like. And so on and so on. If you grew up in the 1980s, you might remember a series of books called Choose Your Own Adventure. Life’s like that – full of choices with consequences. Are you going to decide what action you take or will you let some invisible author make those choices for you? When are you choosing safe over happy? Sometimes safe is important – for example in the basic needs of life, but beyond that, safe does nothing but block our desires. Don’t risk, don’t stand out, don’t be different from anyone else. As long as you choose safe over happy, you’ll always feel unfulfilled and happiness will always remain out of reach. Happiness requires risk. What are you willing to risk to gain happiness? It’s time to wake up, take control of your life and make the changes you want to make. By doing nothing you already have your no, so why not try for yes instead? It’s not the prettiest Journal, but it works. The first two weeks of September are always the busiest in my day job and usually I get to launch day exhausted, facing a hundred little crises, and with a knot in my stomach because I have not had time to complete some really important tasks. This year, however, everything has gone as smooth as silk and I have to attribute the success to my use of my Bullet Journal. 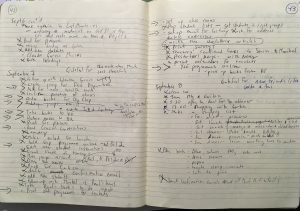 Of course, every year, I make to-do lists, but always in a haphazard manner on a variety of different pieces of paper and/or computer files and emails. I also managed to be productive in my personal life as well. Remember how I made the decision to be purposeful about my choices in life? Well, that has extended into this crazy period of the year, and despite ten and twelve hour days at work, I’ve been in better and more meaningful touch with my husband and friends than I’ve been in years. I can’t pinpoint exactly why the Bullet Journal has produced different results, but I do have a few ideas. Part of it is because I knew I was using it as an experiment here on Unclutterer, so I never let a day pass without updating the Journal. By giving work and personal life tasks and thoughts equal priority, one never took over the other. And success in one area motivated me and encouraged success in the other. I hate rigid rules and the rebellious teenager in me always wants to break them, so having been told right from the start that “rules” for Bullet Journaling are meant to be broken, my inner-teen never needed to rebel. The system isn’t perfect, of course. Now that I write everything down, if it’s not in the Journal, it doesn’t happen. For example, in preparing to go down to our apartment in La Rioja last Friday, I reminded myself to take the house keys off their hook and leave them out where I could see them, but I didn’t write it down. Did I forget my set of keys? You bet I did! The index is useless for me. I know I am never going to go back to review things. My lists and thoughts are “in the moment” things. Once completed, I move on. In my next Journal, the index will disappear. The Future Planning portion makes no sense to me. I prefer to have a section with the whole year divided into months so that the planning can go there (one side of the page with the days of the month and the other with notes). I also have added a section. This Monday, I created a weekly calendar that went before this week’s lists. It helped me organize my time in such a way that I didn’t forget a single appointment and I managed to squeeze in free-time and relaxation before the week’s craziness took over.